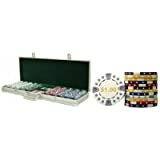 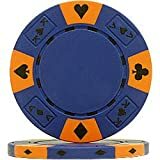 400 Stripe Suited 13.5 gram pro-quality clay poker chips with metal inlays. 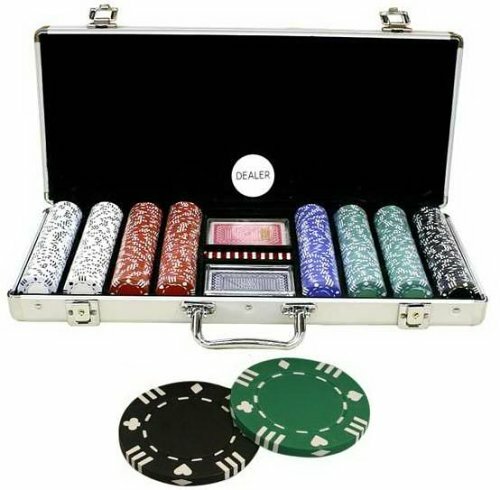 150 White, 100 Red, 50 Blue, 50 Green, 50 Black. 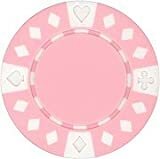 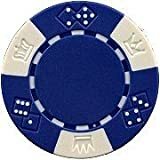 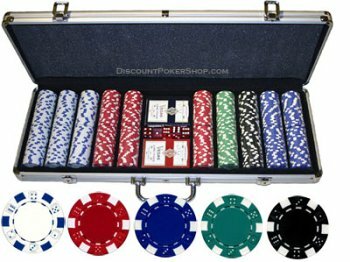 600 Royal Flush Design 9 gram pro-quality clay poker chips. 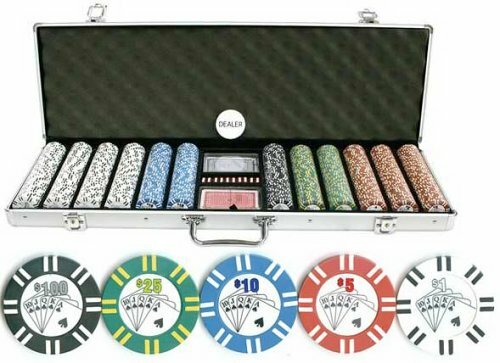 200 $1, 150 $5, 100 $10, 100 $25, 50 $100.